Russel Watsky is an independent roofing consultant providing unbiased roofing advice for private homes, commercial buildings, churches, and historic structures. He is not affiliated with any roofing contracting company, supplier, or manufacturer. 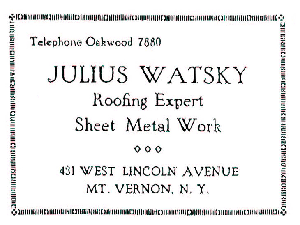 Russ began roofing in 1963, working during school vacations for Julius Watsky, Inc. -the roofing company founded by his grandfather in 1917. 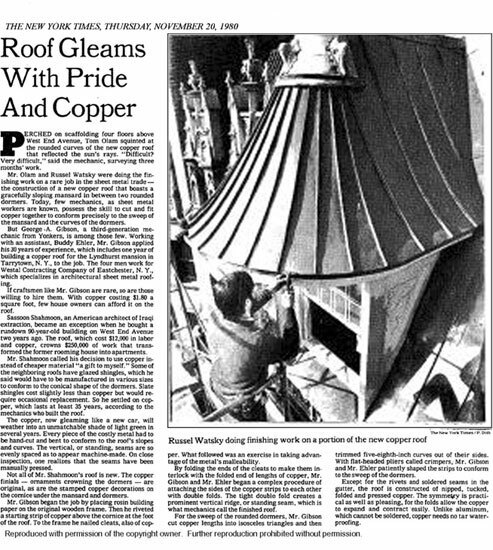 The company was highly regarded for traditional flat roofing and quality copper work. This provided the benefit of learning from some highly skilled tradesmen includeding a slater who was 80 years old when Russ spent the summer working with him. 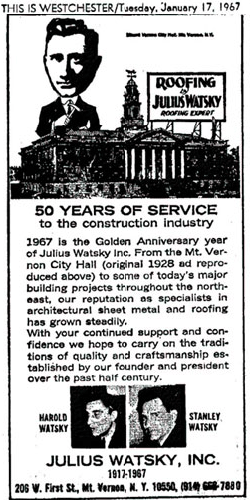 Russ joined Westal Contracting and became President in 1993, and here, he advanced the company's reputation as a leader in historic roofing, and commercial flat roofing. He worked extensively with the National Trust for Historic Preservation. 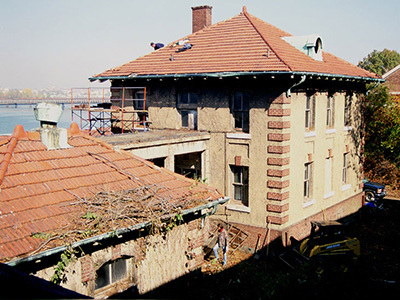 He also worked at Ellis Island with New York Landmarks Conservancy. 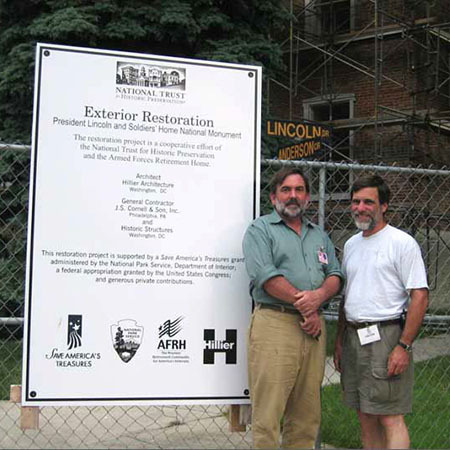 He received a national award for restoration work at the Jay Mansion in Rye, NY. Russ left Westal in 2003 to work as a consultant. 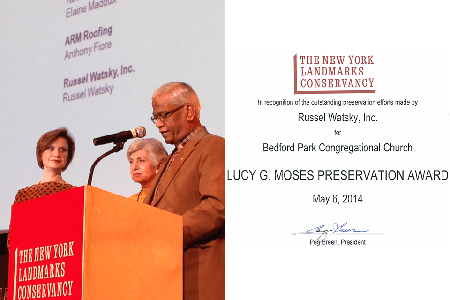 Russ was awarded, by the New York Landmark Conservancy, the Lucy G. Moses Preservation Award in 2014, for his work done on Bedford Park Congregational Church - a NYC Landmark. Russ is an original and active member of the National Slate Association. 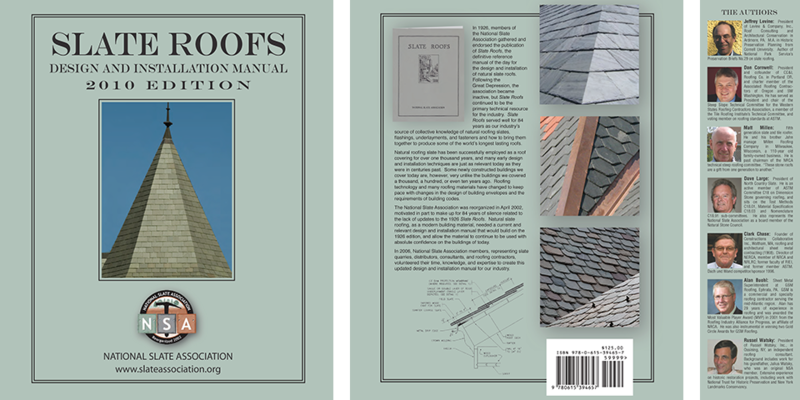 He is one of the authors of their book "Slate Roofs: Design and Installation Manual" published in 2010. 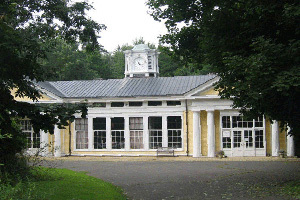 Russ served on Westchester County's Historic Preservation Advisory Committee for 6 years, and continues as a member of the Westchester County Historical Society Preservation Committee. Before working full-time in roofing, Russ spent the 1970's "messing around with boats". 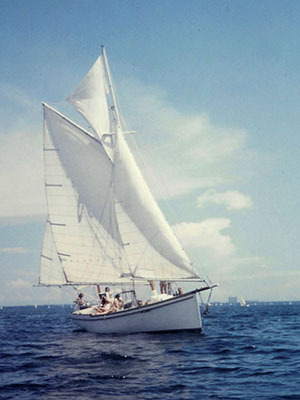 He built Periwinkle - a wood-hulled 30-ft gaff-headed ketch, and sailed to NY from Miami Florida to teach boat-carpentry and seamanship at South Street Seaport Museum.